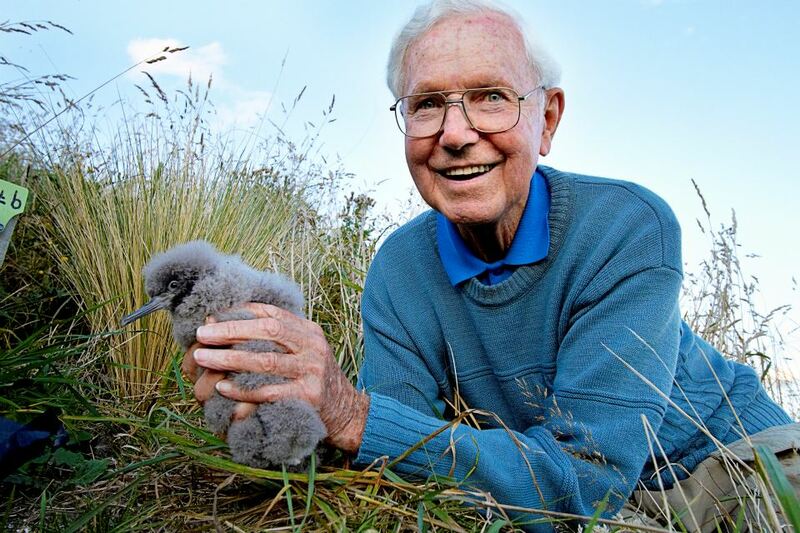 The Trust began Hutton’s shearwater chick translocations from the Kowhai River colony (one of only two remaining wild colonies) in the Seaward Kaikoura Range to the artificial Kaikoura Peninsula/Te Rae O Atiu colony in 2005. Translocations followed in 2006, 2007, 2008, 2012 and 2013. 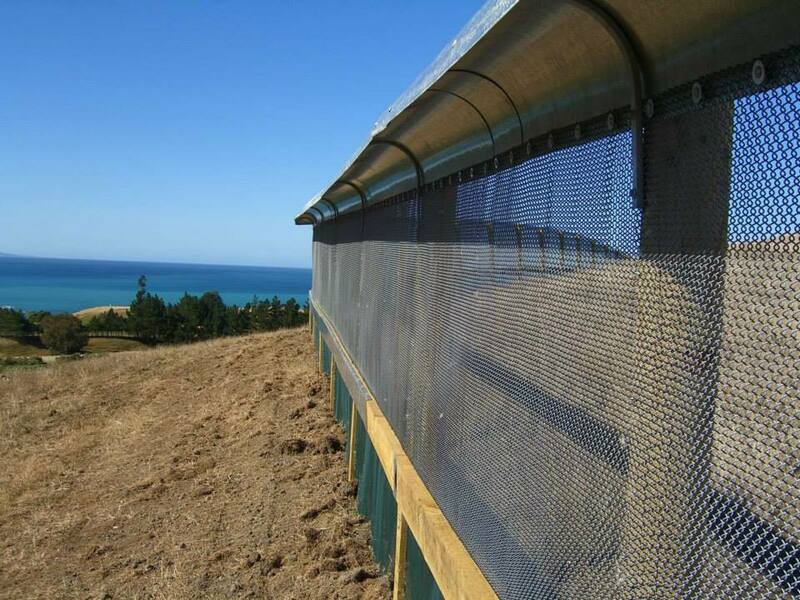 Chicks adapted well to their artificial burrows within the predator-proof colony on the Kaikoura Peninsula. They were fed sardine smoothies, regularly weighed and fitted with metal bands and microchips – before fledging and migrating to feed in the warm coastal waters off western Australia. Immature birds remain there until 3-4 years of age, and then return for their first breeding attempt at the Kaikoura Peninsula colony. Translocated birds have already begun returning to their artificial colony and made first breeding attempts – great news! The next translocation will likely take place in 2018. The Trust is grateful to the many sponsors and volunteers who made translocations possible. Each of you has directly helped make a difference for this endangered species. 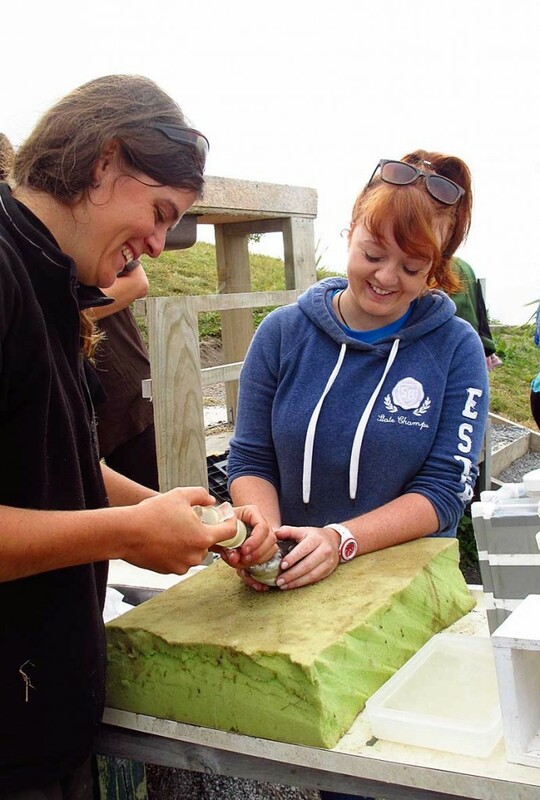 During March 2013 the developing colony at the Kaikoura Peninsula/Te Rae o Atiu was given a boost with the addition of a further 103 chicks translocated from the Kowhai River colony. The season’s crop of chicks were in excellent condition, with the birds selected for transfer having exceptional weights. The chicks were transferred from the mountain colony in two batches that were flown by helicopter directly to their new home. Here they were placed in their own artificial burrows and fed by hand with a sardine smoothie daily. The transfer went without a hitch and all 103 chicks fledged successfully. These young birds will in time provide an important boost to the number of breeding birds returning to the colony and will help ensure that the number of breeding birds continues to increase. The chicks needed carefully daily attention, being weighed, measured and fed to ensure they were developing healthily and were in good body condition. For this we are grateful to the army of volunteers who gave up their time to assist. The chance to take part in this ground-breaking project was well taken up, and was summed up in one volunteer comment: ‘To have such an amazing project on our backdoor is truly an inspiration’. There is great demand in the Hutton’s shearwater chik feeding volunteer spots, so much so that the roster is now full! Please check back here or on Facebook for the latest updates. 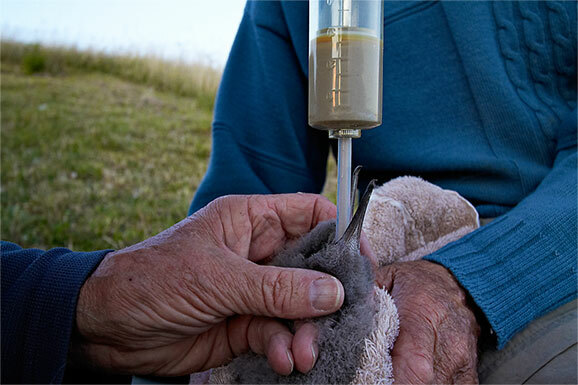 On Tuesday February 26th, Hutton’s shearwater chicks will be translocated from the Kowhai River mountain colony to the Kaikoura Peninsula / Te Rae O Atiu colony. There is public opportunity to view the arrival of the chicks and the subsequent chick feeding programme. 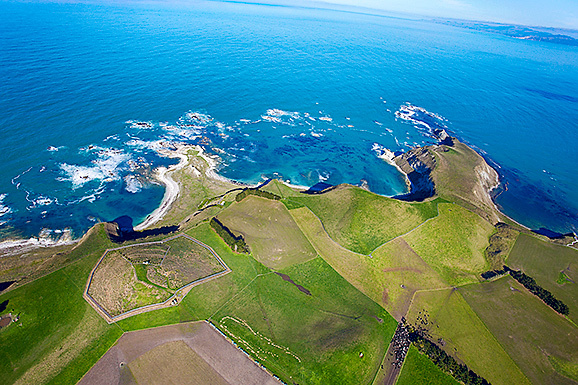 Meet at the South Bay carpark at 1 pm, to walk to the Kaikoura Peninsula colony to be there for the arrival of the chicks by helicopter at 2 pm. Arrival of chicks and all visits to the colony are weather and project manager dependent. Please check the website or Facebook page for the latest information.